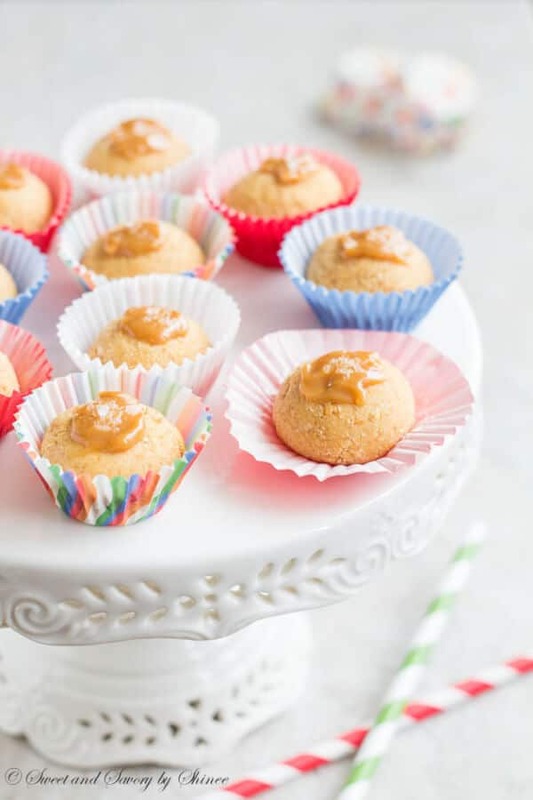 Mini caramel cheesecake bites with homemade dulce de leche. These sinful little bites are sweet, creamy and absolutely easy to make. I had all the intention to make perfect little cheesecakes in a mini muffin pan. But disaster happened. First, I burned the crust. Then, the whole process just became too tedious without great reward. You know, I like to keep my recipes simple, yet delicious. 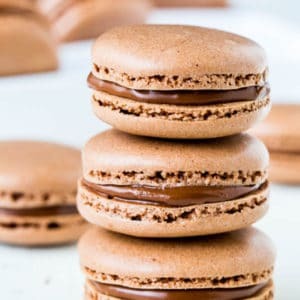 Don’t get me wrong, I love to challenge myself with complicated recipes, but only if the result is super duper impressive, like french macarons! A great idea struck me when I was standing in my kitchen with a bowl of tasty cheesecake filling in my hands. 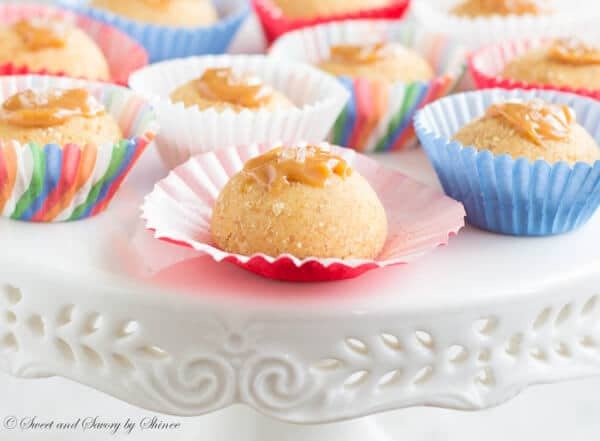 Why not add a little bit graham cracker crumbs and make some cheesecake balls? And that’s exactly what I did. 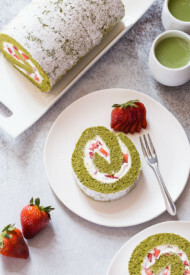 Don’t you just love when mistakes turns into something delicious? There is really not much to this recipe. 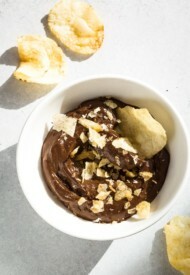 Beat together cream cheese, dulce de leche and vanilla extract until creamy. Stir in some graham cracker crumbs and form into 1.5-inch balls, using an ice cream scoop, or two spoons, because the batter is a little sticky at this point and place them on a baking sheet lined with parchment paper. Now you need to freeze them for at least an hour. 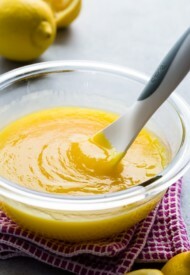 The mixture is soft and sticky, and freezing helps to keep its shape. 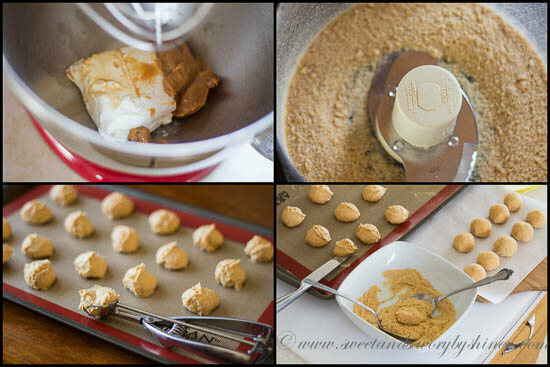 Then roll them in the remaining graham cracker crumbs, and they will no longer be sticky. Decorate with some caramel and coarse sea salt, if you would like. Keep them in the freezer until right before serving. No need to defrost them, as they don’t harden at all. Now let me share a little secret with you. You see this beautiful dulce de leche? It’s homemade! AND are you ready? With SINGLE ingredient. Yep, you read that right. You just need a can of sweetened condensed milk. 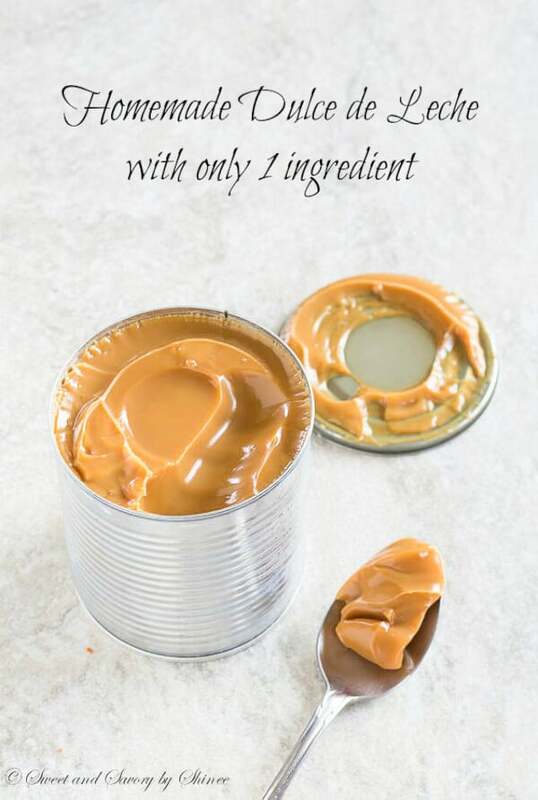 Place a few unopened cans of condensed milk (why would you do only one!) in a deep stock pot. Fill it with water and bring it to a boil. Reduce the heat and simmer for 3 hours. The longer you simmer, the darker it gets. Read the ingredient list on the can. It should only contain milk and sugar. That’s it. If it has other ingredients, then I wouldn’t recommend it. It might explode. When simmering, make sure that the cans are fully covered with water. If the water level goes down, add more hot water. The cans will explode if they are not fully submerged in water. Just keep an eye on it. I noticed that if you keep the pot covered, the water doesn’t evaporate much. I don’t recommend condensed milk with “easy open” lids, like peel off kind. I’ve never boiled those, but always afraid that they would explode. This warning is just to fully inform you, not to scare you off. I’ve done this many, many times, and never had any problems. I highly recommend making your own dulce de leche. They’re to die for, I can eat spoonful of them just like peanut butter. In a mixing bowl with whisk attachment, beat cream cheese, dulce de leche and vanilla extract. 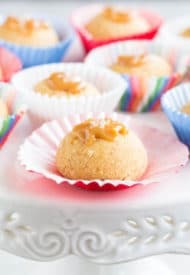 In a small bowl, put the remaining 1/3 cup of graham cracker crumbs and roll the cheesecake balls in it. 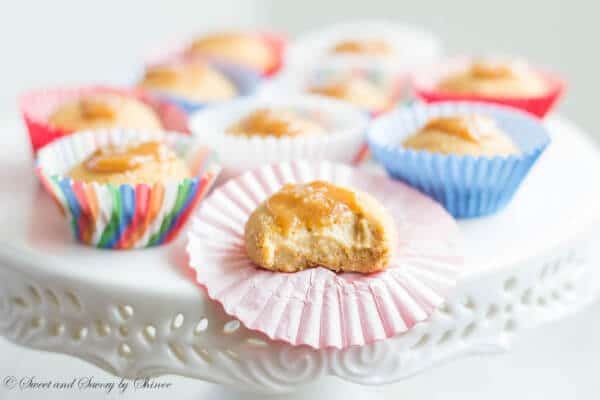 Place the caramel cheesecake bites in mini muffin liners and keep them in the freezer or fridge until ready to serve.